Two Pocket Portfolio 9 1/2 in. x 12 1/8 in. 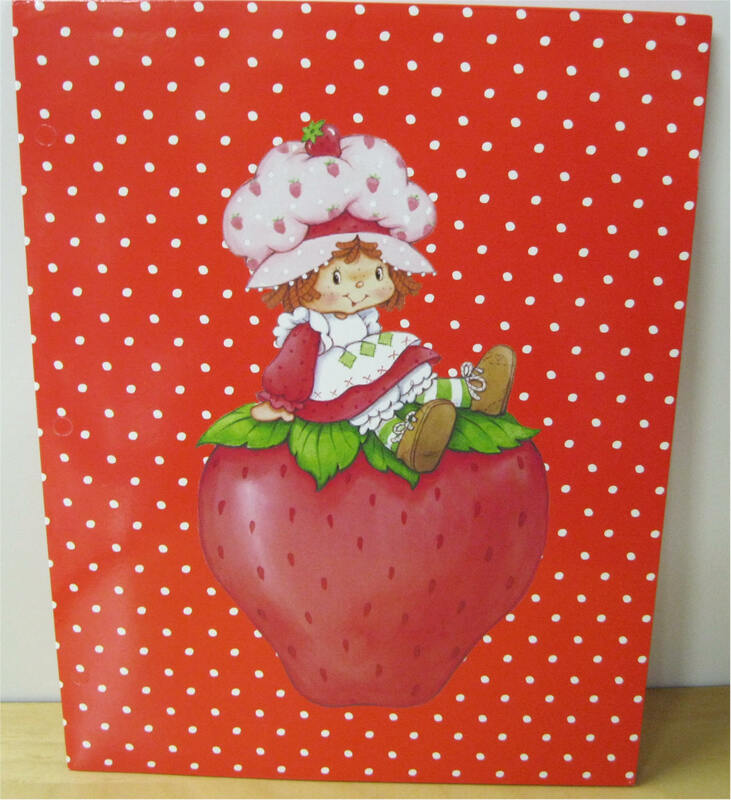 Picture of Strawberry Shortcake sitting on Strawberry - 2004 Those Characters From Cleveland, Inc. used under License by Accessory Network Group, Inc. New Condition. 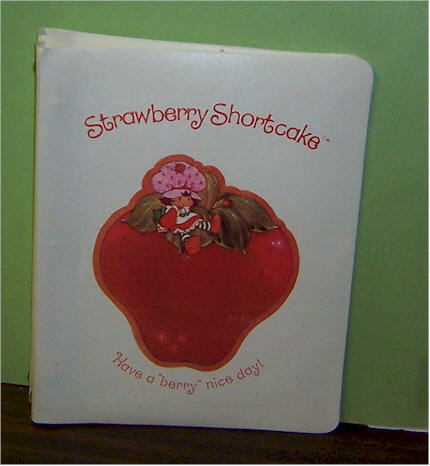 Picture of Strawberry Shortcake and Custard - 2004 Those Characters From Cleveland, Inc. used under License by Accessory Network Group, Inc. New Condition. 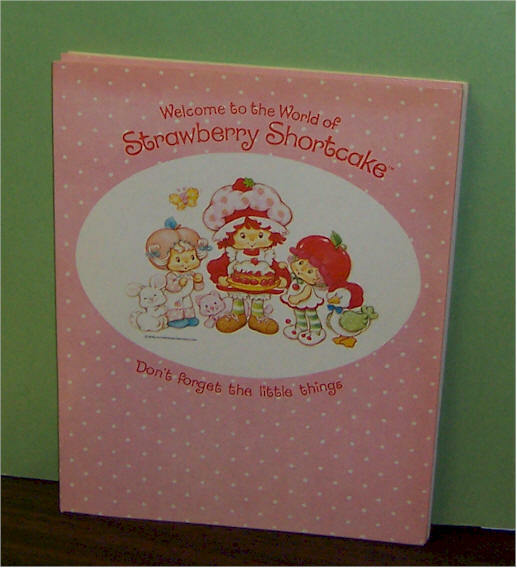 Picture of Strawberry Shortcake and Custard - 2004 Those Characters From Cleveland, Inc. used under License by Accessory Network Group, Inc .New Condition. 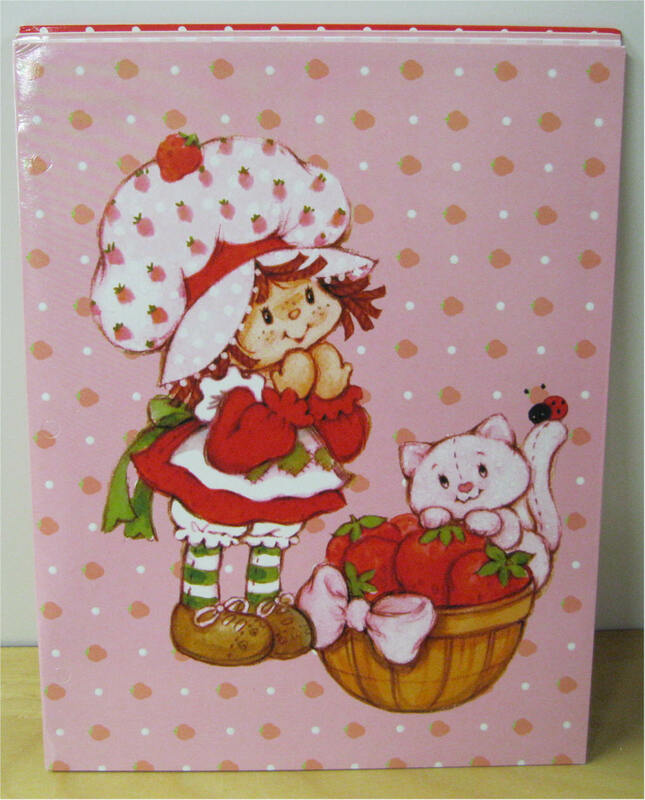 Picture of Strawberry Shortcake and Custard - 2004 Those Characters From Cleveland, Inc. used under License by Accessory Network Group, New Condition. 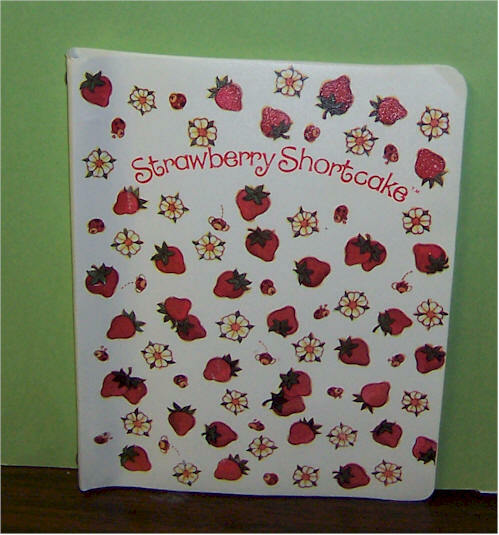 Picture of Strawberry Shortcake and Custard - 2001 Those Characters From Cleveland, Inc. used under License by Kalan New Condition. 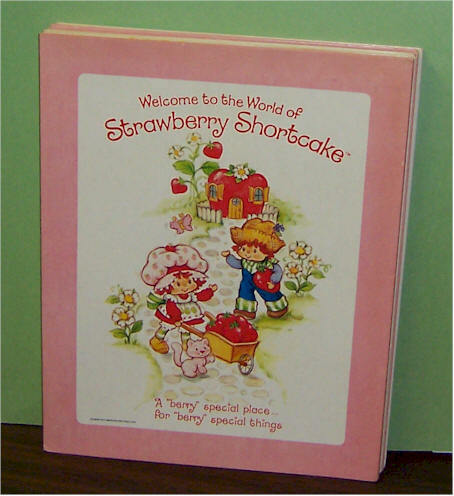 Welcome to the World of Strawberry Shortcake - "A Berry Special place for berry special things. American Greetings 1982 New Condition. 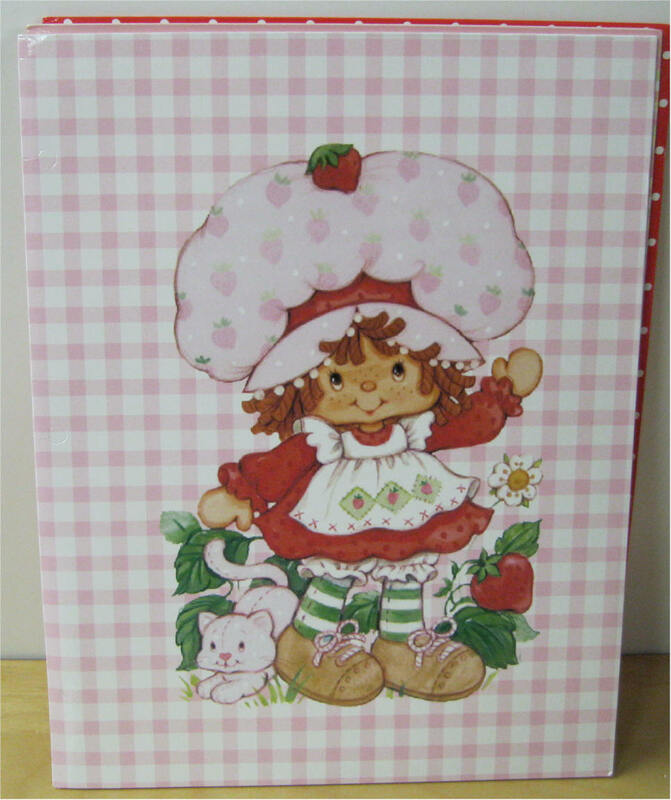 Welcome to the World of Strawberry Shortcake - Have a strawberry day!! American Greetings 1982 New Condition. 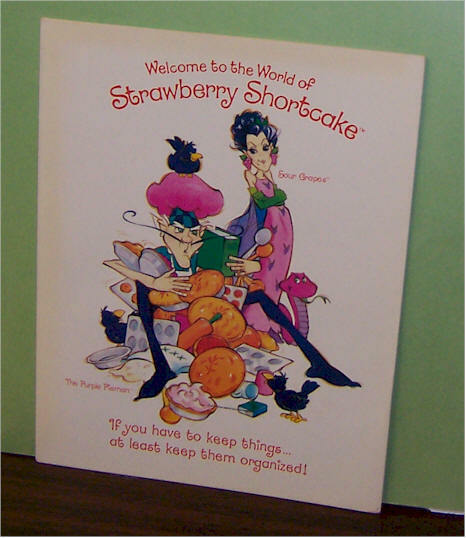 Welcome to the World of Strawberry Shortcake - Share a treat with someone sweet. 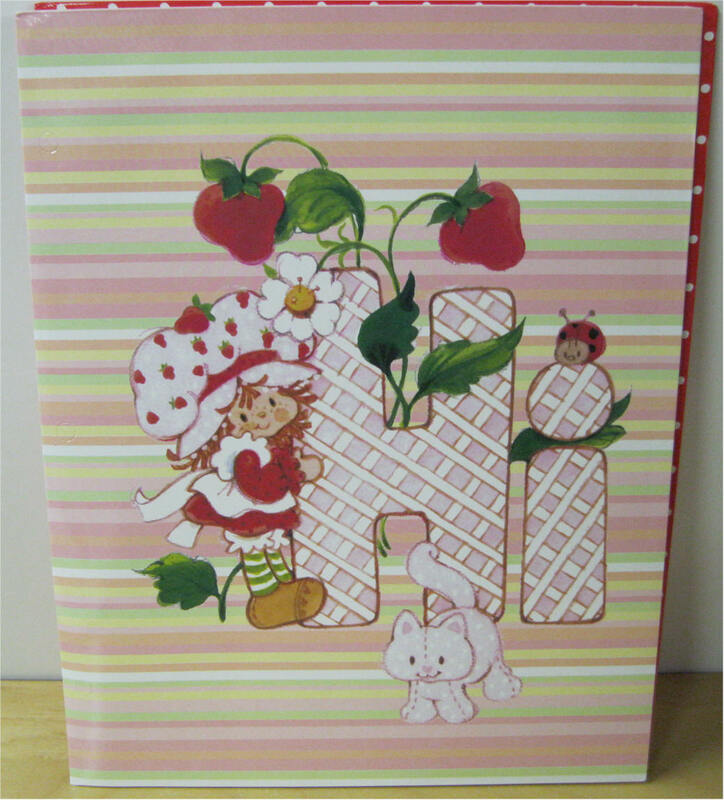 American Greetings 1982 New Condition. 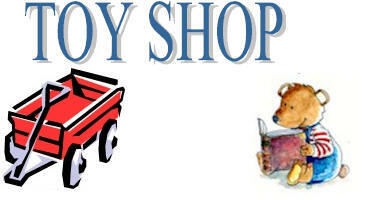 Welcome to the World of Strawberry Shortcake - "Don't forget the little things. American Greetings 1982 New Condition. 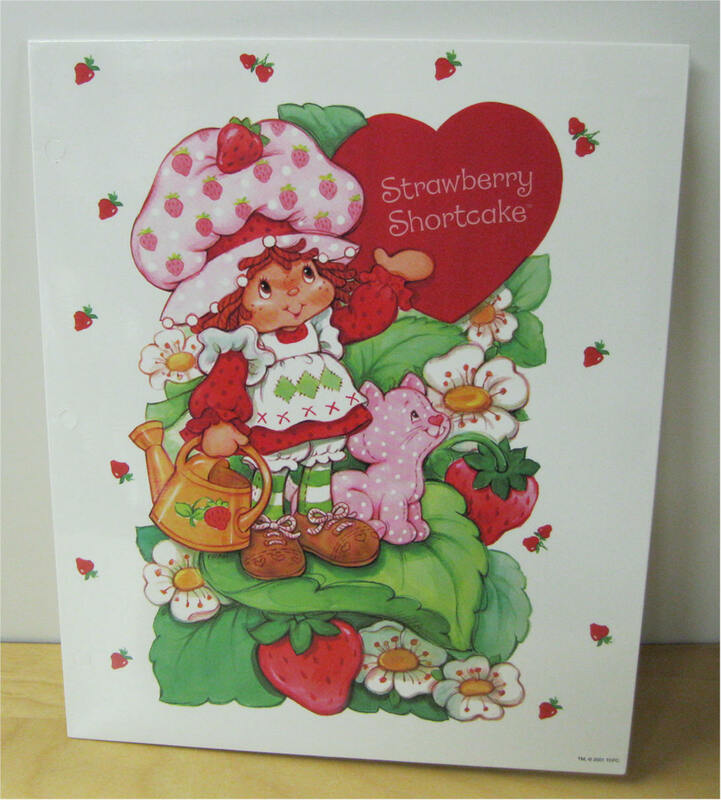 Welcome to the World of Strawberry Shortcake - If you have to keep things... at least keep them organized!! American Greetings 1982 New Condition. 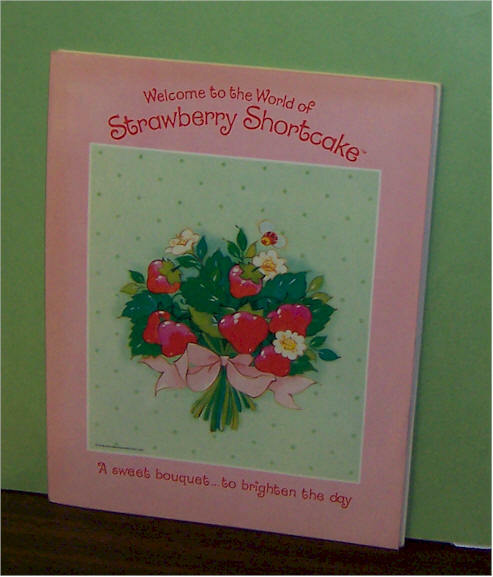 Welcome to the World of Strawberry Shortcake - A sweet bouquet...to brighten the day American Greetings 1982 New Condition. 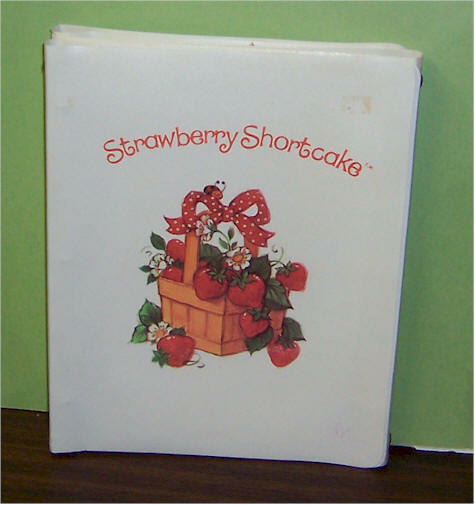 Poly Binder 11 3/4 in. x 9 1/2 in. 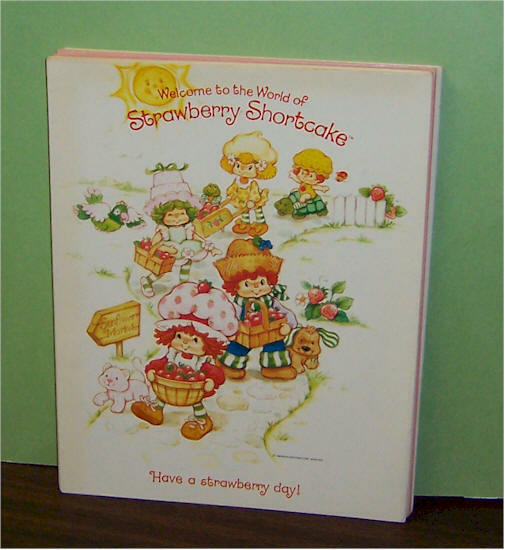 Strawberry Shortcake - American Greetings 1981 Used Condition. 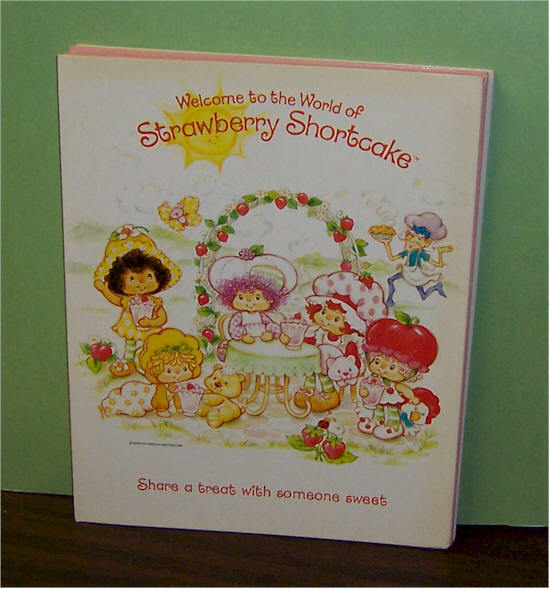 Strawberry Shortcake - Have a berry nice day American Greetings 1981 Used Condition.